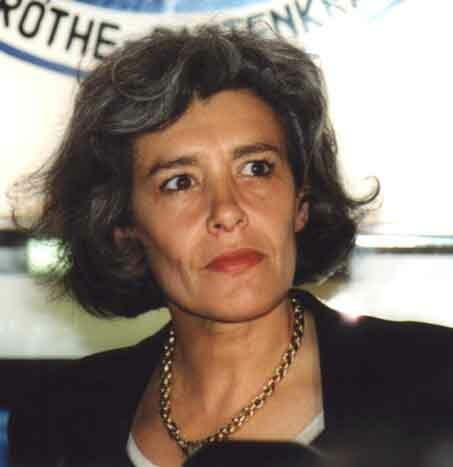 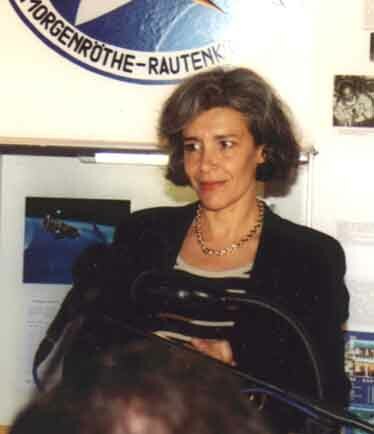 The French cosmonaut Claudie Haigneré spoke about one of her flights, the Andromedé mission. 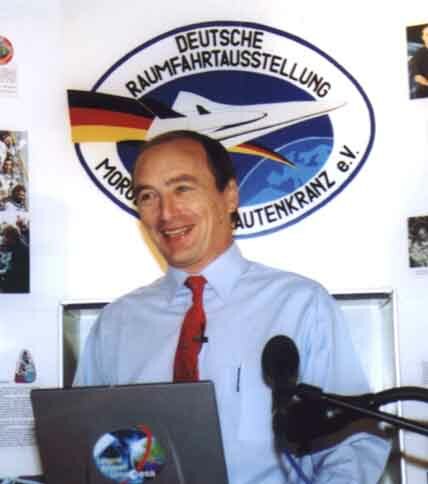 spoke about the flights of the European astronauts. 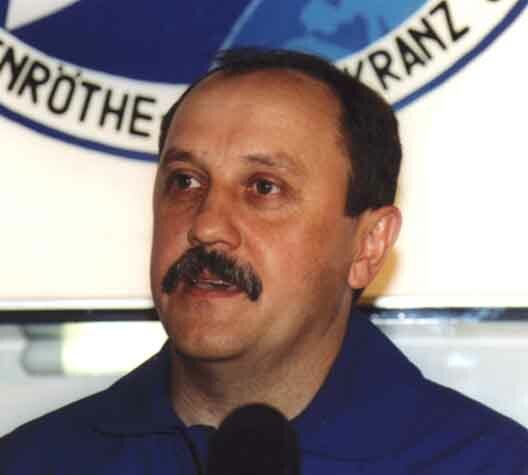 The 4-times Russian cosmonaut Yuri Usachev spoke about the tasks and results of the 2nd ISS mission, on which he was the commander. 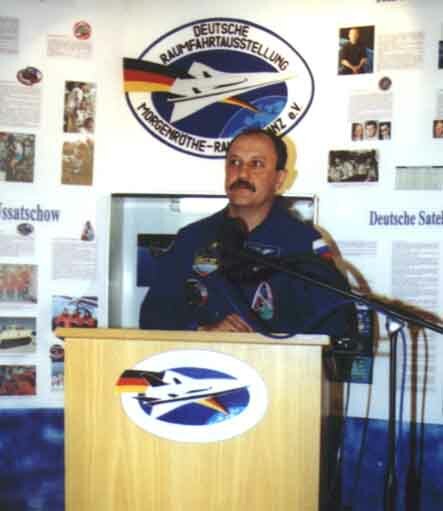 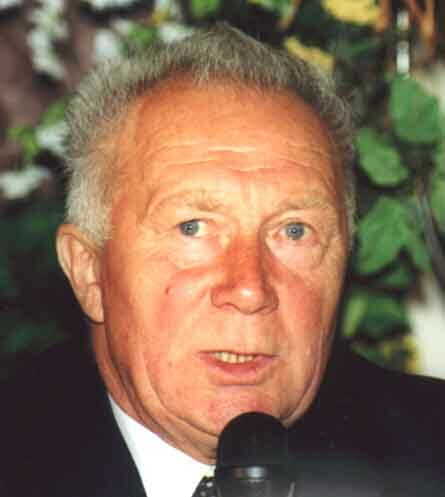 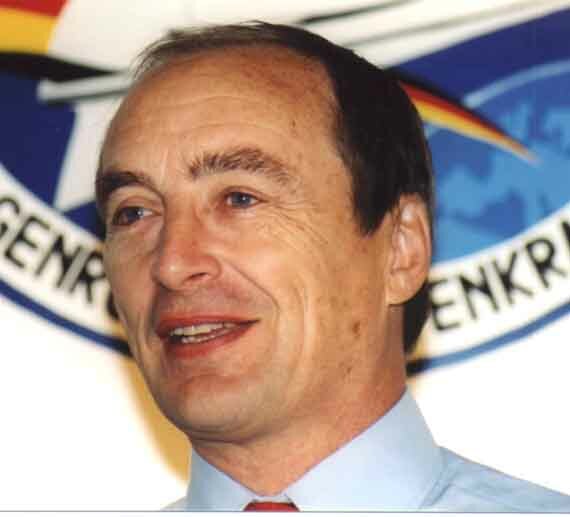 Left: first German in space, Sigmund Jähn, served as interpreter from Russian to German. 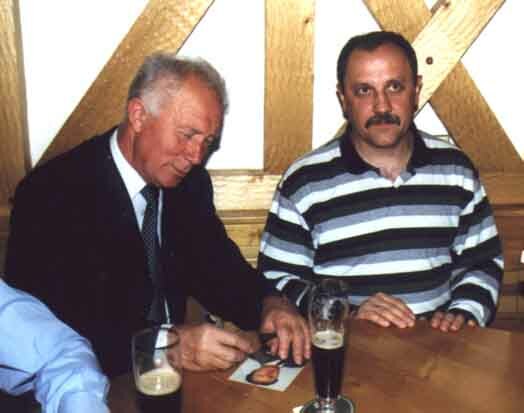 Right: Sigmund Jähn and Yuri Usachev at the autograph session. 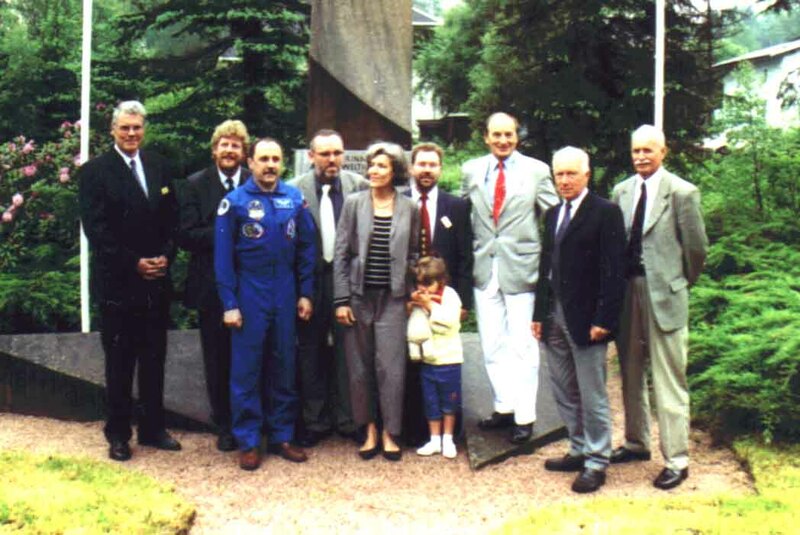 Left: Cosmonaut family Haigneré at the autograph session. 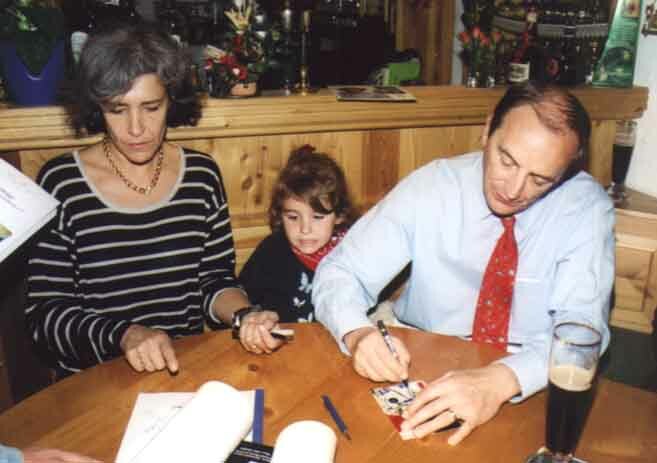 Unfortunately, daughter Clara refused to sign. 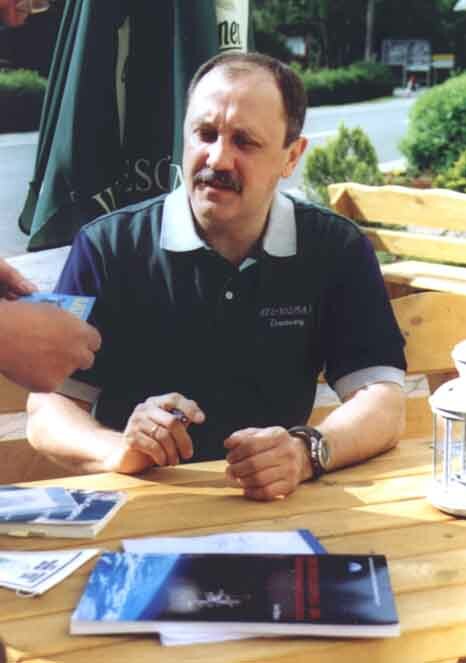 Right: even next morning Yuri Usachev was not spared autograph hunters.